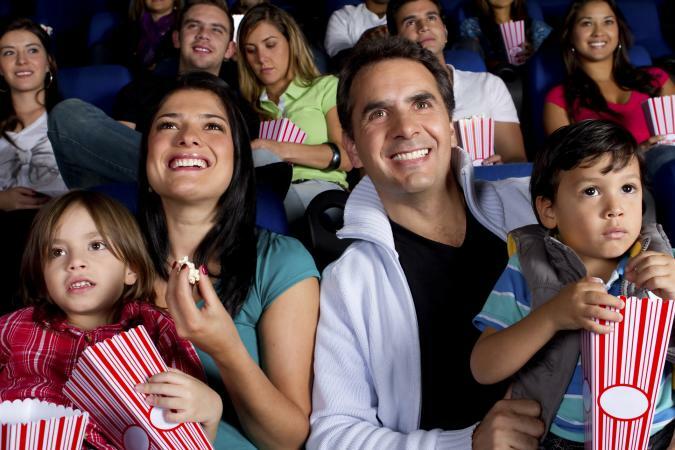 There are many people who are interested in Focus on the Family movie reviews, because they can provide some guidance as to what is appropriate for their children to watch and what isn't. The organization isn't just about Mary Poppins, Peter Pan, and other family-friendly fare; they review just about every flick that comes through Hollywood. In case you are not familiar with the non-profit organization, Focus on the Family is an evangelical group based out of the United States. It was founded in 1977, and they say that they are dedicated to nurturing and defending families worldwide. More specifically, Focus on the Family -- which is aligned with the American Christian right -- aims to protect family values. Focus on the Family has several arms, to speak, which work toward this common goal. The Adventures in Odyssey radio show is perhaps one of their best known projects, but they also have all sorts of other Radio Theatre and political endeavors. One such endeavor is the reviewing movies. As with any organization aligned with the Christian right, Focus on the Family has come under fire and into controversy from several groups. In 2006, for example, FOTF founder James Dobson was accused of manipulating research data that said gays and lesbians are not good parents. They naturally denied this allegation. Focus on the Family also fully supported Mel Gibson when the latter was accused of anti-Semitic content in relation to The Passion of the Christ. Plugged In is a website of Focus on the Family and they offer reviews of just about any kind of mass market entertainment, including movies in theaters, video/DVD releases, music, television, and more. By and large, their reviews take on the same structure. As a movie review site, Plugged In has an extensive library of films for you to consider. Each of the reviews is composed of seven key sections. Introduction: Although not labeled as such, the first paragraph or two outlines the plot summary to the film in question. You get an idea of what the movie is all about, perhaps with mention of where the film ties in to the world at large. Positive Elements: This is where FOTF describes what positive morals or ideas are expressed in the movie. These may include things like love for your fellow man. Sexual Content: They'll warn against things like scantily-clad women and sexual innuendo. Even verbal mentions of condoms and other sexual content will be described in this section. Violent Content: You are given a perspective on how brutal or gruesome the violence is. For horror and action films, this is probably more of a concern for parents. Chair-throwing in dramas may be mentioned here. Crude or Profane Language: In addition to coarse language, this section also reveals if "Jesus" or "God" are used inappropriately. Other Negative Elements: This serves as a catch-all for other undesirable content, like the consumption of alcohol and drugs. Summary: A final verdict on whether the film promotes good family values or not, citing both the good and the bad. To get a sense of how the organization approaches movies, read these sample reviews. Cloverfield: The Focus on the Family movie review applauds Rob's dedication to Beth and his willingness to risk life and limb to save her. However, they are not pleased with the level of violence, the mild sexual content (pre-marital), and excessive use of "my God". Alien vs. Predator: The biggest complaint in this particular Focus on the Family movie review is that the PG-13 rating given to this classic alien movie is deemed inappropriate, given the extreme level of violence. AVP gets quite gruesome, even if the camera cuts away just in the nick of time. If Focus on the Family seems to have the same views on movies and other media as you do, this may prove to be quite the time saver. If you trust their guidance, you'll no longer have to screen everything your kids want to watch (and in turn, you don't have to see or hear things you would prefer not to).